Details of steps being taken by the Government to promote the tourism in the country - Status Ghora-Katora Mega Circuit in Bihar. New Delhi, 17 July 2017: The Ministry of Tourism (MoT) promotes India as a holistic destination and as part of its on-going activities, releases print, electronic, online and outdoor media campaigns in the international and domestic markets, under the Incredible India brand-line, to promote tourism products and destinations of the country. MoT also promotes the tourism destinations and products through its websites and publicity and promotional material produced by it from time to time. 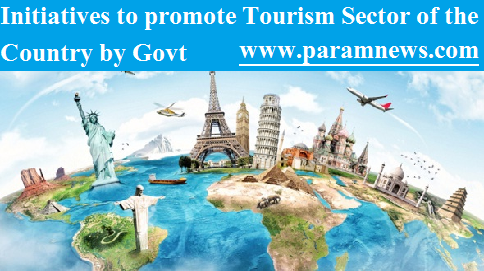 In addition, a series of promotional activities are undertaken in important and potential tourist generating markets overseas through the Indiatourism Offices Overseas with the objective of showcasing India’s tourism potential and increasing tourist arrivals to the country. These include participation in travel fairs and exhibitions; organising road shows, ‘Know India’ seminars & workshops; organizing and supporting Indian food and cultural festivals; publication of brochures; offering joint advertising and brochure support and inviting media personalities, tour operators and opinion makers to visit the country under the Hospitality Programme of the Ministry. The Ministry of Tourism provides financial assistance to stakeholders for promotion of tourism in the international and domestic markets under the Marketing Development Assistance (MDA) Scheme. The Ministry of Tourism in the year 2013-14 has sanctioned an amount of Rs.4841 lakh to the State Government of Bihar for Integrated Development of Ghora-Katora (Rajgir – Jalmandir- Pawapuri) as Mega Circuit in Bihar. The Ministry of Tourism (MoT) promotes India as a holistic destination and as part of its on-going activities, releases print, electronic, online and outdoor media campaigns in the international and domestic markets, under the Incredible India brand-line, to promote tourism products and destinations of the country.